LF: And who was the mastermind behind this idea? LJ: Our Founder and current Executive Director, Rick Nahmias. 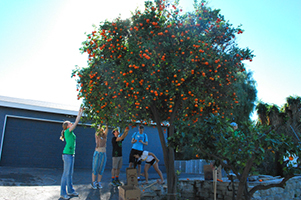 He started Food Forward by harvesting citrus from a neighbor's tree and donating it to SOVA. 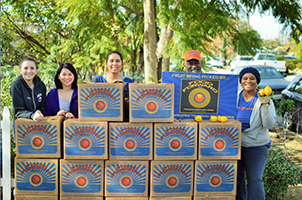 This simple act of connecting surplus fruit with people in need is the idea that blossomed into what Food Forward has become. LF: In 2011, you were able to expand this grass root group into an ever evolving non-profit organization and I understand within the last 7 years Food Forward has rescued over 25 million pounds of fresh local produce. How does your team do this – what is the process? LJ: We have recently surpassed 30 million pounds of produce recovered since 2009. 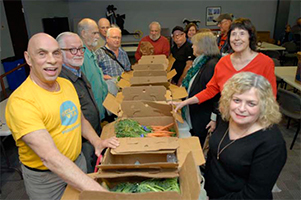 Food Forward has three produce recover programs that are powered by staff and volunteers. 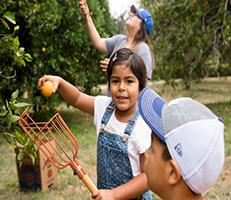 Our Backyard Harvest Program rescues fresh fruit from backyard fruit trees, public spaces, and orchards in Los Angeles, Ventura, and Santa Barbara counties. This is predominantly citrus fruit from old trees that were planted when Los Angeles was covered in commercial citrus orchards. Homeowners can have hundreds of pounds of fruit that they are unable to eat and, instead of letting it fall to the ground and rot, they opt to donate it instead. 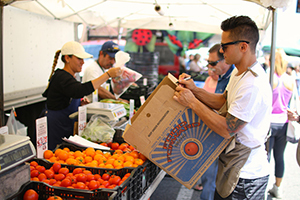 Our Farmers Market Recovery Program operates at 20 farmers markets across Los Angeles and Ventura counties. 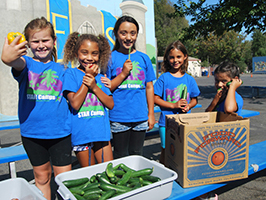 We collect fresh produce that is not sold at the end of market and donate it to local hunger relief agencies. 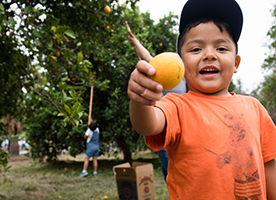 Over 300 hunger relief agencies receive produce, free of charge, from our three programs. The agencies we donate to are incredibly diverse and serve a number of vulnerable populations: the homeless, families, children, veterans, elderly, people living with HIV, and many others. LF: Food Forward’s slogan is Harvest Food. Fight Hunger and Build Community, in building the community you serve a diverse group of people who are suffering - including homeless, elderly, families, children, and veterans to name a few – have you met anyone of these amazing people and have they shared any stories with you about how your organization has changed their lives? LJ: We recently received wonderful news from an agency in Thousand Oaks called Many Mansions. They provide housing to low-income residents of Ventura County and are a recipient of our Backyard Harvest and Farmers Market Recovery Programs. They reported that many of their residents at Hillcrest Villas had lower blood pressure, blood sugar levels, and B.M.I., and attributed it to the fresh fruits and vegetables Food Forward donates! LF: As part of my schooling experience, we are required to complete Apostolic Work Hours, how can my fellow classmates get involved in your organization? LJ: Yes! 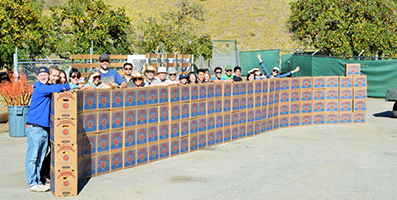 We have 160 volunteer-powered events each month. Please visit foodforward.org/volunteer to learn more and to sign up for an event. LF: Like your organization Food Forward that shows compassion and kindness to the needs of others, you’ve now met a fellow game changer in Lucy Babcock, how did you learn about Lucy and her kid’s charity concert? LJ: We were excited to hear from Lucy when she reached out to invite Food Forward to have a booth at her charity concert. It's always exciting to hear from people who are taking steps to fight food insecurity in their own communities, and particularly inspiring when those actions are coming from the younger generation. LF: What are your future goals for Food Forward? And how do you need help achieving them? 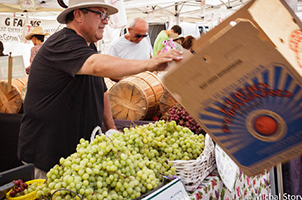 LJ: We want to keep growing Food Forward's work across Southern California. We hope to continue to inspire people to get involved with our work, while raising awareness around the issues of food insecurity and food waste in our communities. LF: Thank you Laura, for taking time to answer my questions. For more information on Food Forward, visit https://foodforward.org/.